Music festivals are great, but knowing the best ones in the UK area will give you a great destination when you are traveling. Whether you are into a foot-stomping festival or a family-friendly one, this list will help you find something that really attracts your ears and musical tastes. The UK has some of the best festivals and you are sure to find one you like. Starting April 14th, 2012, this festival is one of the first spring music festivals of the year. The music at this festival is known for diving into the spirit and soul of the audience with magical ambiance and taking on the magical and mysterious air of the Wiltshire area. Last year’s lineup included Damien Rice, the Magic Numbers and Laura Marling. 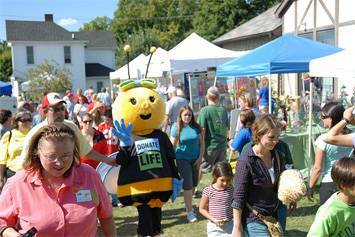 If you want to welcome the spring and hear some spiritually charged music, then Honeyfest is for you. There has even been a documentary made of the last festival that you can check out for some more information. Held in early May, between the 4th and 7th, this is a quirky and fun music festival that takes on a medieval tone. Full of music, comedy and drama this music festival is one that enchants all the senses and takes on a full medieval flair. If you have ever enjoyed a renaissance fair or if you are into the spirit of medieval drama and music, then you are sure to have some fun here. Starting up June 2nd, this music festival mostly takes on local bands for a three-day music extravaganza. There are three different stages and headline and side acts with each band getting the proper amount of exposure and playtime. This really exposes you to some new bands that you might not hear anywhere else. The four confirmed headliners are Dodgy, N-Trance, Baby Bird and Bowie Jane. There is also fun for the kids. There is a bouncy castle, workshops and entertainers. At nighttime there will also be comedians so you can laugh while enjoying the music. This is a full festival where everyone is sure to find something they like. This music festival will being July 7th and is a very family-oriented environment. Here you can find music that the whole family can enjoy. There is also a dedicate kids area where they can have fun. Food and drink is also provided. This is a charity concert that is made to help raise awareness about young people with undiagnosed heart conditions. There are also many great artists there like the Sugarbabes and the Overtones. Taking place on August 17th, this music festival is for anyone that likes hearing tributes of other great bands. If you like hearing Guns N Roses, Michael Jackson, Green Day and ABBA, then you will like this festival. All 50 bands are there to play tributes to your favorite bands and they do an excellent job of covering their lyrics and keeping the spirit of their music intact. There are also kid areas if you have kids with you and the staff is fun and friendly. You are also allowed to camp on-site so you can enjoy the music for the entire four days this festival occurs. Stay all night, have some fun and really get into the music for the full length of the festival. Starting on September 8th, this music festival is dedicated entirely to country music and electric rock. You get the perfect mix of acoustic country and full-throttle electric rock, making a great balance where anyone can find something they like. This festival is full of energy and you will find it hard not to stomp around and yell with excitement. There is a great line up included Skimmity Hitchers, Cash Converted, Kentucky Fight C and Curst Sons. 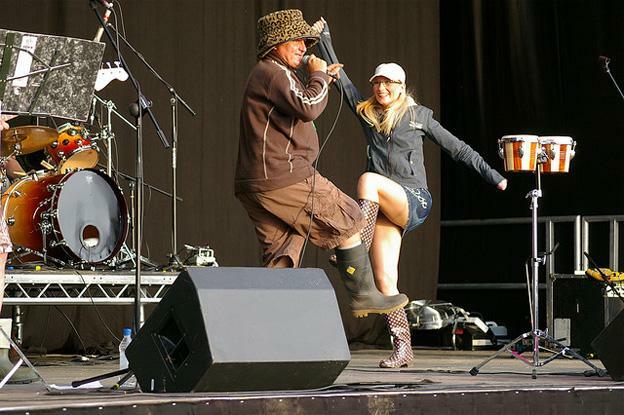 The UK has a lot of different musical festivals that cater to almost any type of music. If you love the idea of hearing a bunch of different bands playing all your favorite songs for several days on end, then you are sure to love going to ones of these music festivals. Sit back, have fun, listen to your favorite music and make some fellow-minded friends that like the same music you do. Sol Hudson the author of “The UK`s best music festivals”is interested in a wide range of topics – from great music festivals to data visualization, and he blogs about all of them, contributing frequently to a number of different publications.